Stan Ellington is the Vice President of Supply Chain and Operations for Coca-Cola Bottling Company United, Inc., headquartered in Birmingham, Alabama. Stan is responsible for all manufacturing, warehouse operations, demand planning, fleet and facilities within the Coca-Cola UNITED franchise territory. Coca-Cola UNITED is the second largest privately held Coca-Cola bottler in the U.S. and the fourth largest overall in North America. Following a multi-year expansion that more than tripled the size of the company, the company now has more than 60 facilities throughout the southeast in Alabama, Louisiana, Mississippi, Georgia, Florida and Tennessee, and employs approximately 10,000 associates. This includes nine manufacturing plants, as well as 54 sales and distribution centers. Stan is a second-generation bottler, with nearly 50 years of supply chain experience, 34 of which are in the Coca-Cola system. In August of 2000, Stan joined the Coca-Cola UNITED family, and he has led the company’s supply chain and manufacturing operations since that time. 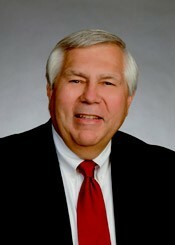 Stan also serves as the President of United Packers, LLC., a separate division of Coca-Cola UNITED that is responsible for co-packing manufactured beverages on behalf of Coca-Cola North America. He has also been Chairman of the Board for the National Product Supply Group (NPSG) for the Coca-Cola System since 2018. As a charter member of the board, Stan has played an integral role in this group since its inception in 2015.